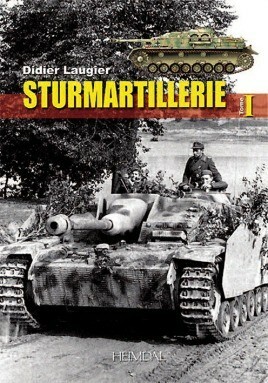 • The first volume in a two part series on the assault artillery of the German Army in World War II The Sturmartillerie came about due to the efforts of celebrated German commander Erich von Manstein, with this new branch designed to support infantry assaults with self-propelled vehicles. Unfortunately, due to sales rights restrictions, we cannot offer Sturmartillerie for sale in your country. This first volume presents the development of assault guns, their production, models (with sixteen pages of colour profiles), armament, equipment and the history of most assault gun groups and brigades. This is the first major work on this subject presented in a hardback book of 400 pages with over a thousand photos and documents. It is undoubtedly a stunning reference work on the wartime German Sturmartillerie and is packed with superb photos and illustrations that graphically illustrate the production, armament, equipment and use of these weapons during the war.